At Hydraco Industries Ltd, we are one of the leading manufacturers of coil tubing units in Alberta. We have a staff that is fully capable of assisting you with all your oilfield-related issues, and we make sure that quality is our top priority. We have manufactured various coiled tubing units that are capable of handling all our customers’ well servicing and completion needs. Our units are designed for outstanding reliability, ease of operation, and simple maintenance. Hydraco’s flushing and pressure equipment is in markets all around the world. We have a staff that is fully capable of assisting you with all your Flushby related issues, and we make sure that quality is our top priority. 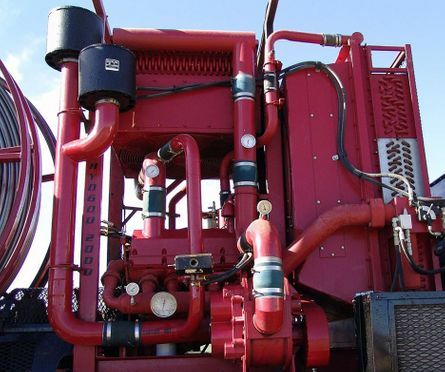 Flushby trucks have advantages over pressure trucks in that they have derricks and winches that are used to pull the pump rotor out of the stator at the bottom of a well. By pulling up the rod string, a flushby truck pumps fluid down the tubing, washing out the heavy oil and sand. The well is then put back into production. We are proud to carry a 3-compartment tank and a 165 horsepower Triplex pump to better suit your needs. 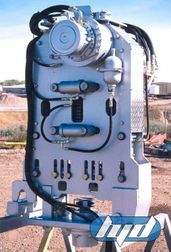 BOP - KR3 1" - 2"
Contact us today to learn more about the equipment we manufacture.